Update: See our most recent "Kindle Unlimited is here" post by clicking here. Rumor has it – there may be a new competitor for one of Books for Her’s favorite books services – Oyster. 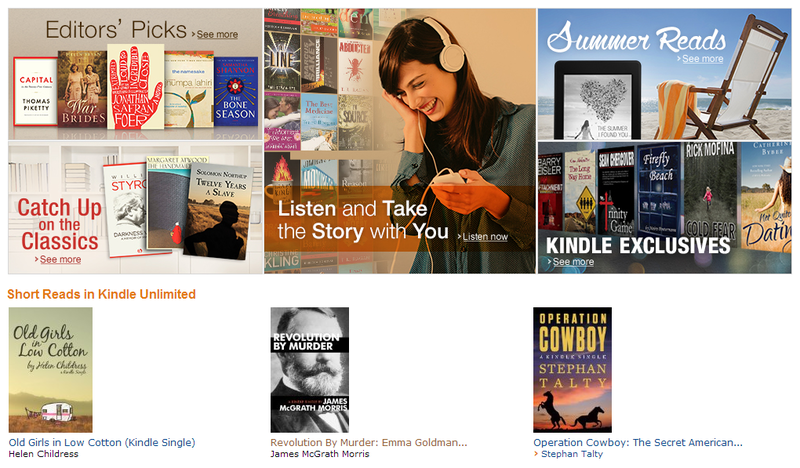 Amazon is currently testing Kindle Unlimited, a monthly subscription for $9.99 that would compete directly with Oyster and Scribd for the ‘Netflix of Books’ title. We can’t wait to see this come true … especially since we’ve been loving Oyster so far (see our updated and let us know your thoughts here). Check out this cached link spotted by GigaOM and reported by TechCrunch. Here’s some screenshots of the site. Once we hear more about the availablilty and book offerings of Kindle Unlimited, we’ll let you know. Or read more about the potential offers (could be more than 600,000) on this GigaOM article. Previous Previous post: Oyster Book App: What do you think?